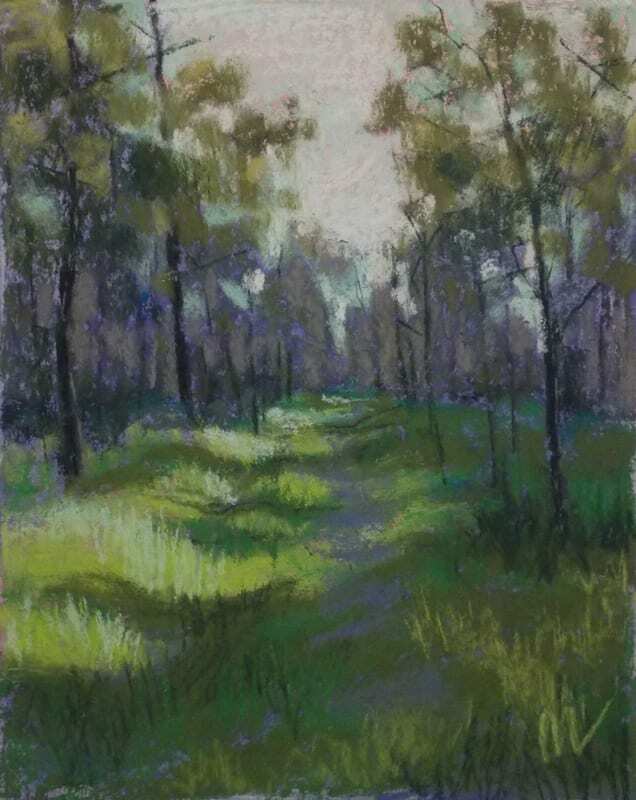 Smooth Curves, 9×6″ pastel on Canson mi-teintes paper. 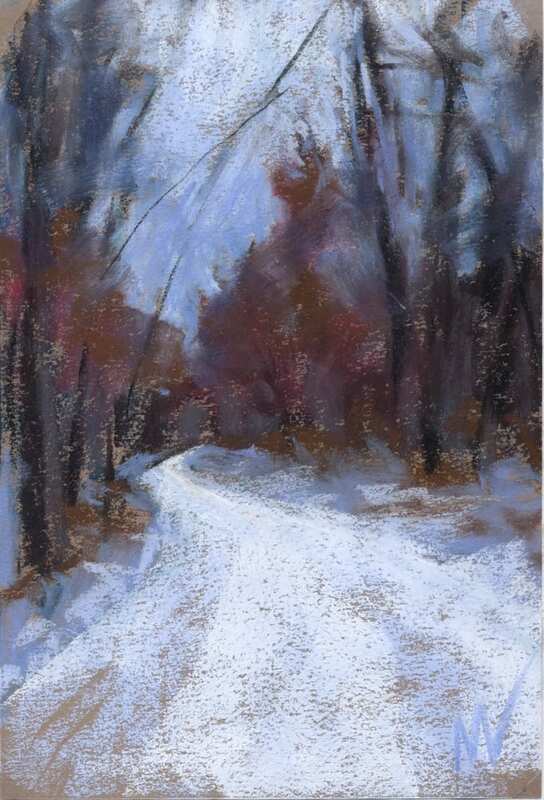 This painting is based on a walk down Aspen Road in the winter time. I like how the road curves out of sight up ahead and how the horizon mimics its curves. This was a very fun painting to do. I love walking in the Manistee National Forest with my dogs every morning. It inspires my work. 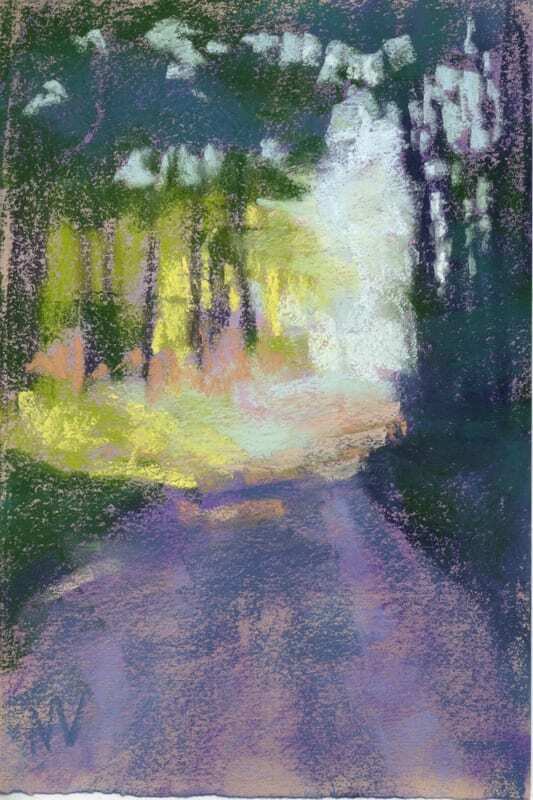 This entry was posted in A pastel a day, Daily painting, ebay sales, forest, Manistee National Forest, painting a day, Pastels, road, Woods scape and tagged forest, manistee national forest, painting, pastel, path, road, winter, woods on January 30, 2019 by Marie Marfia.